The markets big move on the China story appears to be like most big moves in summertime exaggerated because trading is thin, analysts say. It used to be said that when the U.S. sneezes the rest of the world catches a cold. But this week China is the catalyst and the rest of the world’s financial markets, including U.S. markets, have been reacting. 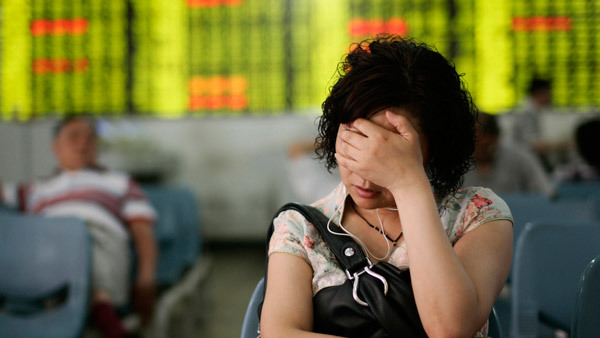 China, the world’s second largest economy shocked financial markets Tuesday by devaluing its currency. Global stock markets plummeted along with commodities and other Asian currencies. The Dow fell 210 points Tuesday, losing 1.2%, and then as much as 277 points early Wednesday but then recovered completely, ending the session down just 0.33, virtually unchanged. Here are some of the reasons the markets are confused. For one thing they weren’t expecting China to change its policy and do so abruptly, without warning. But on Tuesday the Chinese government announced it would no longer decide the exchange rate of the yuan, which is pegged to the dollar, without taking into account other variables. Instead it would set the rate, known as the central parity rate taking into account the closing rate of the yuan the previous day, supply and demand conditions in the foreign exchange market and the exchange rate movement of major currencies. The new policy, announced as a one-time change, is more flexible and more market based. The devaluation could help boost Chinese exports, which would strengthen a weakening Chinese economy, and help China get IMF approval to include the yuan in its basket of major international reserve currencies. Then, after the yuan lost almost 2% of its value against the U.S. dollar on Tuesday and looked to be setting up for a repeat performance on Wednesday the Chinese government intervened to prop up the currency, and it closed about 1% lower. Adding to the nervousness were some technical warning signs in the financial markets including the dreaded Death Cross in the Dow. That’s when the 50-day moving average, which tracks the short-term trend, passes under the 200-day moving average, representing the long-term trend, suggesting that the shorter term move could turn into a longer term downtrend. But “the record of such ‘death crosses’ is dubious,” Jeffrey Saut, chief investment strategist at Raymond James & Associates. Carl Weinberg, founder and chief economist at High Frequency Economics, also advises investors to buy on the dips, which is what he’s been doing though hedging much of his foreign-currency exposure. Weinberg adds that the market’s big move on the China story is like most big moves in the summertime—exaggerated because the trading is thin. It appears many investors were in sync with Saut and Weinberg, given the dramatic recovery in the Dow Wednesday afternoon. There are however, concerns that the China’s move will delay the Fed’s rate hike, expected in September, which is presumably priced into the market. Sassan Ghahramani, CEO of SGH Advisors, a global consulting firm, agrees that Fed policy is not likely to be affected by China’s currency devaluation. “What impact there is, is more likely to show up in an even more gradual and shallow rate tightening trajectory in the outer years,” Ghahramani writes in a recent market note.